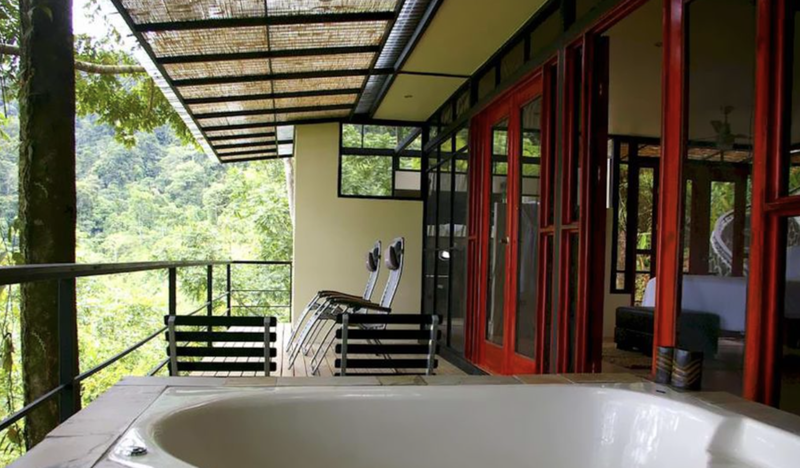 Lose yourself atop a canopy-covered mountain & within an extensive, private jungle preserve. 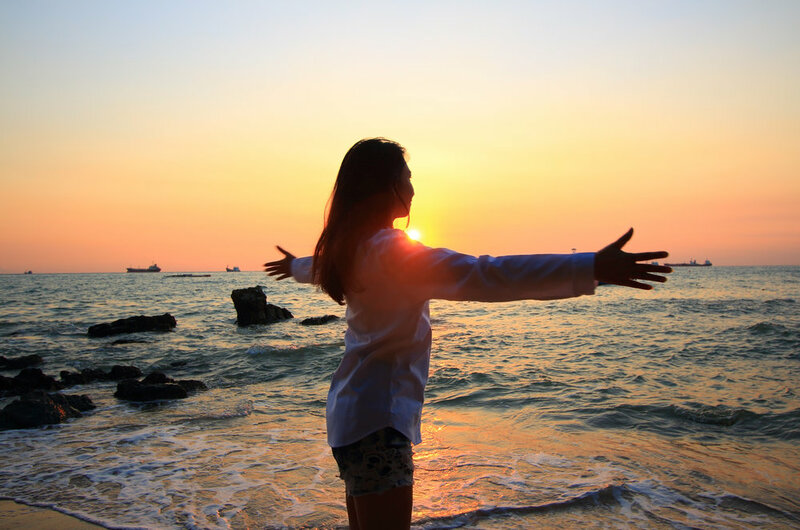 Blue Zone packages let you escape stressful patterns and just…..relax. The focus is on recouping your balance, rejuvenating your body and attaining a new level of contentment. Spend time connecting with yourself and your loved ones while relaxing in one of the most tranquil locations on the planet. Can a vacation help you live longer? Maybe, if you choose to visit one of the world's Blue Zones. 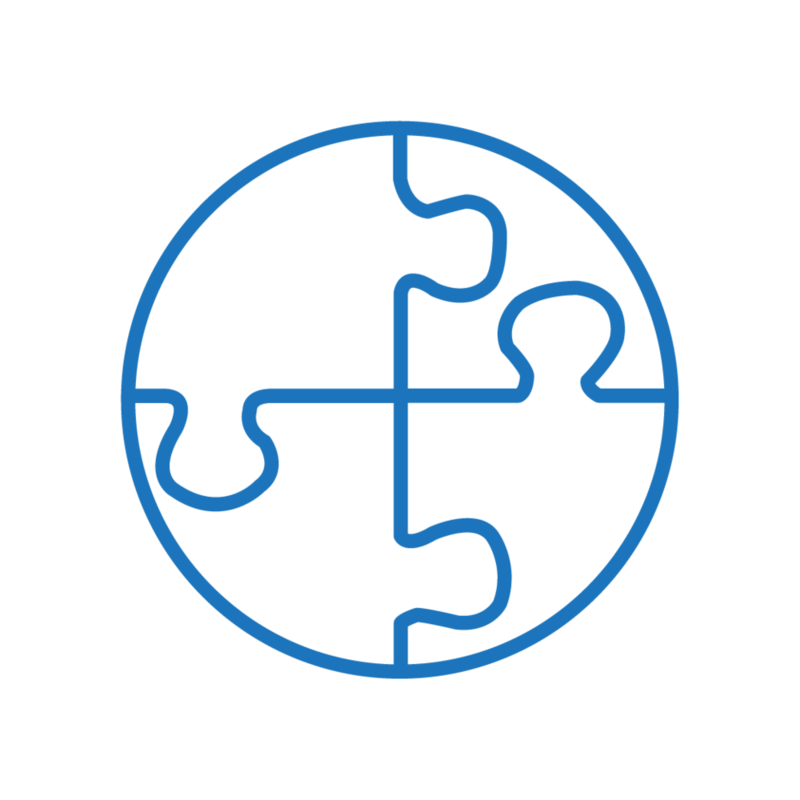 The book The Blue Zones, was written by Dan Buettner, publicized four parts of the world where a startlingly large number of people live to 100 years old... and they are doing so in relatively good health! According to the book, the areas are the Nicoya cost in Costa Rica; Sardinia, Italy; Okinawa, Japan and Loma Linda, California in the U.S.
What do these places have in common? People there seem to move around a lot, eat a wide variety of healthy food and have strong family ties. While this vacation isn't sending you to those towns specifically, you will have the opportunity to enjoy those same life principles in those countries. We start with Rancho Pacifica in Costa Rica. 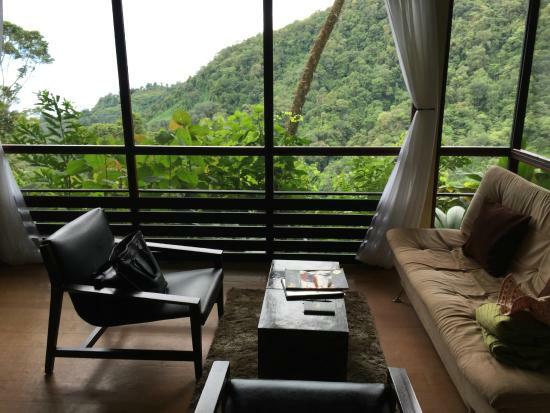 Where style meets nature and the rainforest meets the sea; the real Costa Rica at its finest. 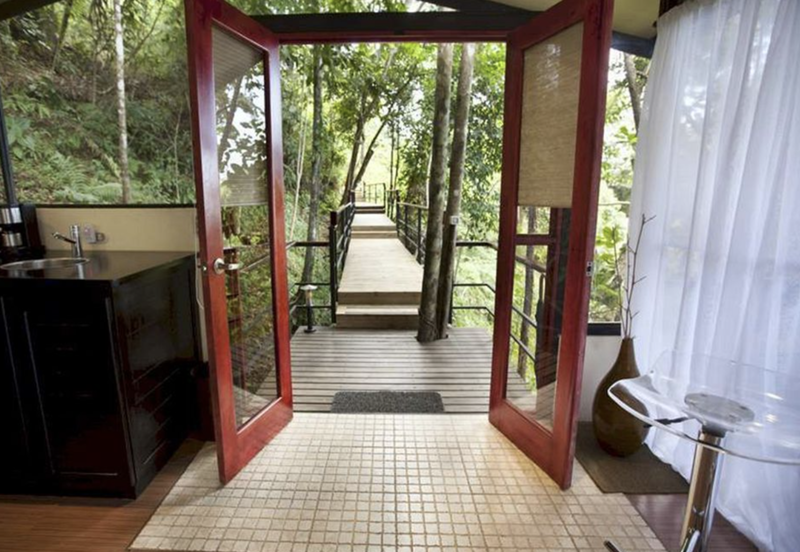 Lose yourself atop a canopy-covered mountain & within an extensive, private jungle preserve. 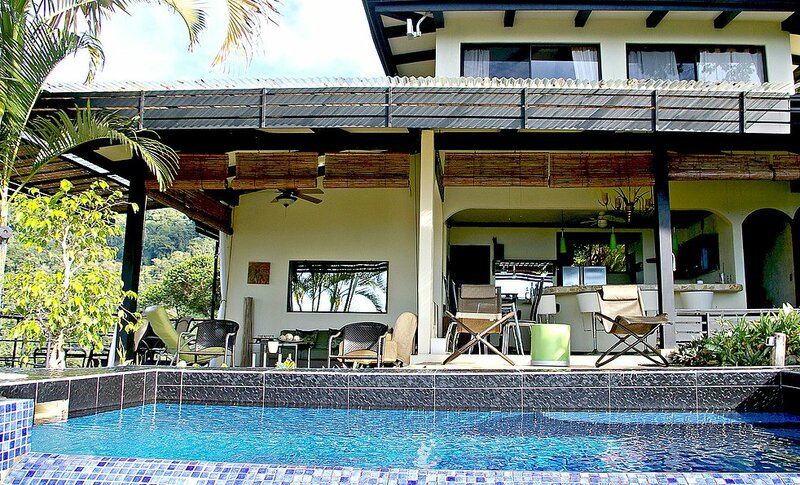 Your adult-exclusive, boutique eco-luxury escape in Costa Rica's last-best place. For active nature lovers with an eye for design & quality and an appreciation of legendary hospitality, private hiking, fresh & creative sushi, organic contemporary cuisine. The experience is one of unexpected comfort and refinement given the unique, remote location. Award winning creative cuisine, our own organic gardens, and an attentive, experienced staff is just the beginning. 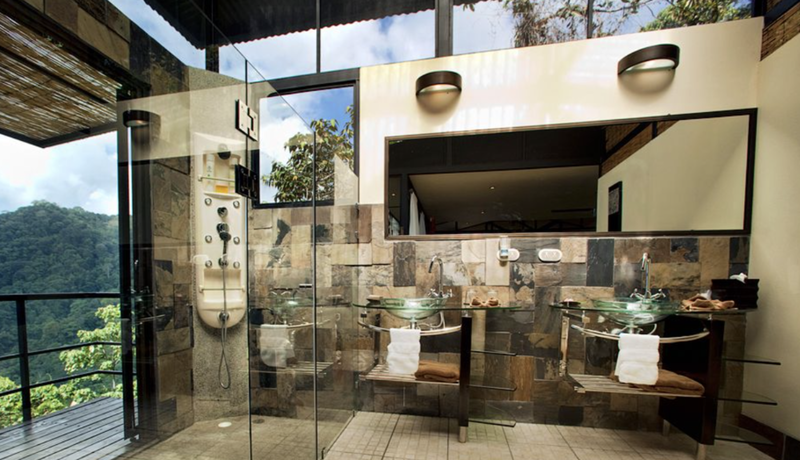 Add a one-of-a-kind treetop spa, award-winning, sustainable "zen-modern" design, naturally integrated pools and tubs and numerous nooks from which to intimately observe the sensory explosion around you -- and begin to realize this is far more than just a place to stay. Adventure is at your doorstep! 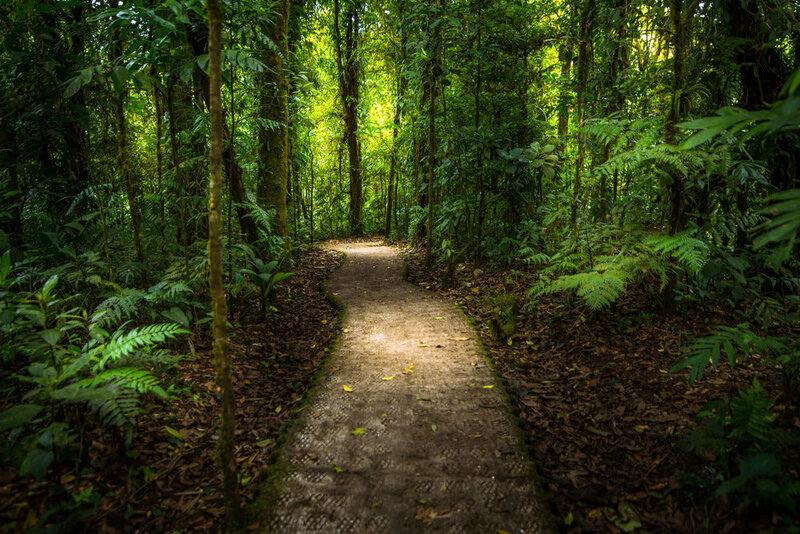 Active meets refinement on the private hiking trails that lead you on a self-guided journey to a jungle waterfall below or to a cloud forest above. 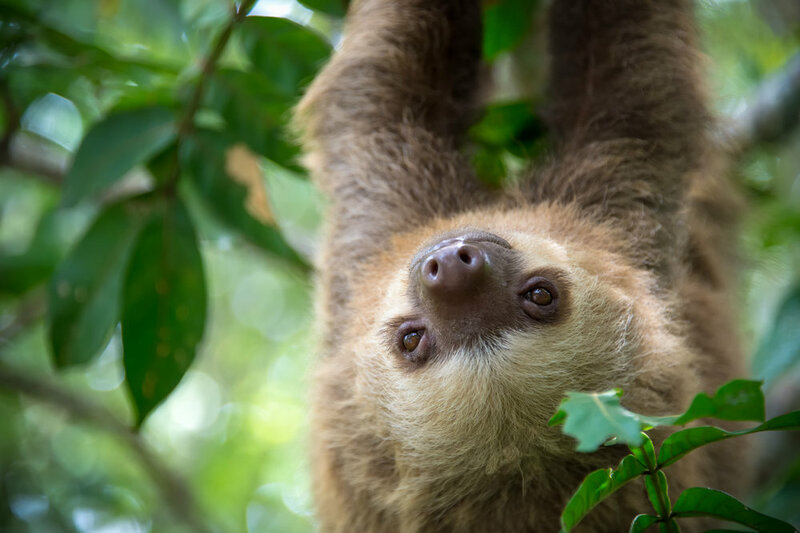 Aside from their pristine nature, they offer you an opportunity for a very serious aerobic workout if you choose -- and to observe monkeys, sloths, exotic birds and rare blue morpho butterflies up close. 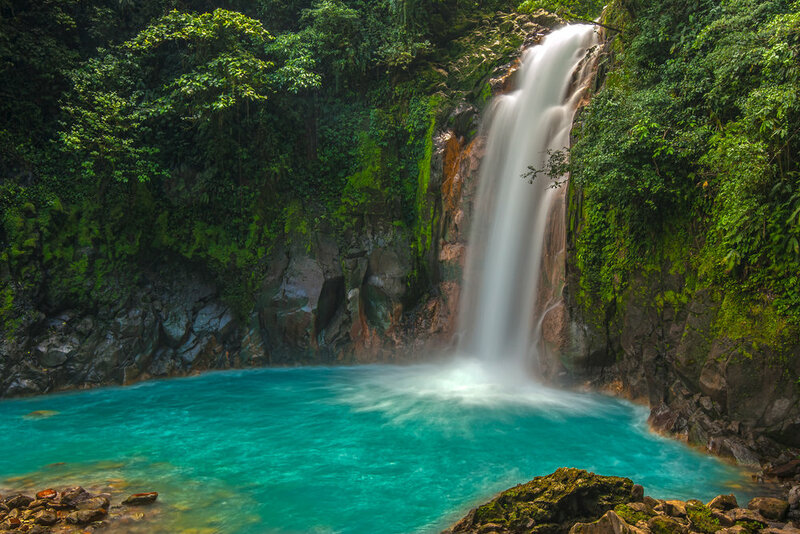 If hiking is your thing, there is nothing like it in costa rica. Healthy, award winning "world-tropical" cuisine is their interpretation of casual fine dining -- almost entirely organic (much of it from their own "bamboo garden"), naturally low in carbs yet hearty and comforting. An amazing variety of rare local fruits and vegetables, organic meats and poultry and a full array of gluten - free without compromise. And taking advantage of the local bounty, some of the world's freshest and abundant seafood which they transform into sushi as you have never had it! To top it all off, 13 of the world's best beaches are at your footsteps. Spread before you from our mountain top perch is a distinctly different and very unique collection of beaches, caves and outcropping awaiting exploration. Some are best for 2 mile strolls, some wild with waves for surfing and playing -- and others more mellow for swimming and dawdling. No sharp shells and water temps in the 80's for comfort -- and few if any people around. Your package is fully customizable to your needs and wants. Choose from a variety of activities at the resort when you arrive. By no means your Standard Hotel Room! If ever there was a perfect retreat for a romantic tropical holiday with all the trimmings, this is it! 5 star green energy rated tropical ceiling fans and lighting. Welcome to the softer side of an authentic "tropical wilderness" experience. Featured in Travel & Leisure - "Room with a View"
Rancho Pacifico Resort claims to be a bit “unusual” – ina good way according to several thousand satisfied guests! RP is a place of contrasts - providing an authentic Eco-lodge experience with the refinements of a Small Luxury Hotel. The approach is, in the words of one guest, “of casual elegance, refined but not pretentious - like a spacious estate with lots of privacy and personal attention.” In the words of another, "Where nature meets style". Rancho Pacifico prides themselves on their personalized service made possible by its’ "micro" size (24 people max) Costa Rica is one of the top 5 "Adventure Travel" destinations in the world - and #1 for "Adventure Honeymoons". Chances are if you are reading this, the word adventure is meaningful - but it needs to be understood. Simply, adventure implies risk. You simply cannot have an adventure in an absolutely controlled environment. People seek adventure travel to experience something other than their everyday, controlled environment. In this spirit, Rancho Pacifico was created - but with a twist. While the founders were committed to preserving an authentic "adventure" element, sustainable architecture and an "eco-spirit" - they also wanted to add some unexpected creature comforts - along the lines of a classy African Safari camp or High-end Nature Lodge. So as you consider spending your vacation time at Rancho Pacifico, please read through what follows for a clearer idea of what it means when we say, "Where Nature meets Style"....offered respectfully to help you make the right choice. Here or There? 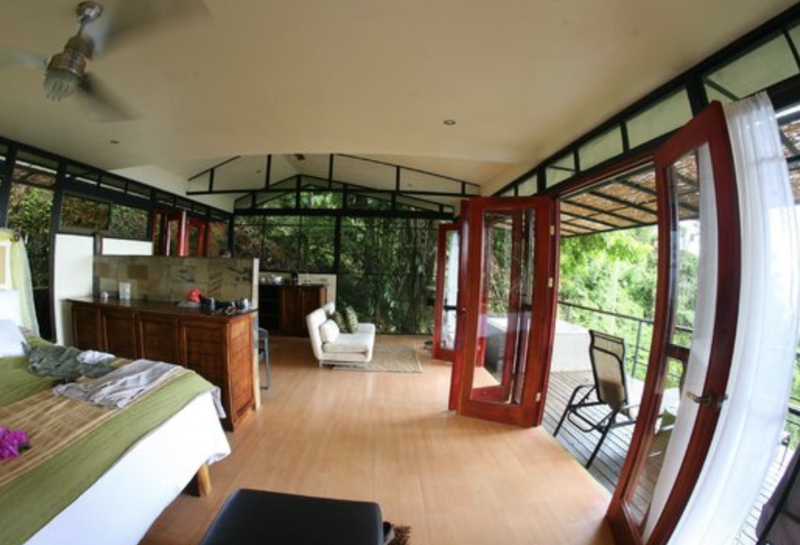 - making the right choice among Costa Rica's finer hotels. 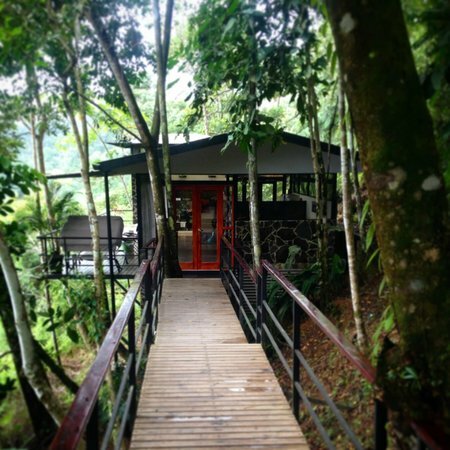 We get a lot of inquiries from folks who have researched the internet and narrowed their choice to a few of the obvious, finer hotels around Costa Rica. Frankly, because our reputation allows us to care more about your well-being than their occupancy rates, we have come up with a few very honest comparisons designed to help people make their best choice. We are always happy when you are happy. If you want to be ON the beach - we're afraid you will have to go "there". If you want an authentic Costa Rica experience , with spectacular views of the ocean, easy access to 13 distinct beaches and surrounded by nature and wildlife - come to RP. If you want just a nice hotel "room" - "there" is probably your choice. If you prefer a unique, award-winning, architecturally designed dwelling to call your own - please come to Rancho Pacifico. If you want to feel like you are in a classy city-like "hotel" with traditional urban amenities - go there. If you like the idea of feeling like you landed in an exclusive private estate in an exotic part of the world - without TV or in-room phones - by all means, come here. If you prefer cozying up in front of a big screen while enjoying room service in bed - "there" is the better choice. If you figure you can do that at home and want to get away from your routine and lose yourself in paradise, you will love RP. (They have Room Service, a movie room and free Wifi available throughout the property) If awakening in the confines of an enclosed, climate controlled room meets your needs, there may be a good choice. If waking up to the sounds and rhythms of "the most biologically intense place on earth" (as RP's area has been called by National Geographic) meets your fancy then please come to Rancho Pacifico. We refer to sleeping at RP as a "sensual event" - where the cool breezes of the rainforest - and the altitude, insure perfect temperatures year- round. RP's guests constantly praise the naturally ozonated air, premium beds, organic linens, sights, sounds and connection with the surrounding nature as some of their most endearing qualities....and conducive to the best sleep ever. But to some, being this close to nature can be noisy and maybe a little daunting. We hope this helps clarify your thinking - we sincerely want you to be ecstatic with your choice, wherever you decide to go. What do you mean by "Eco Luxury"? We mean contemporary luxury versus purely urban-style or traditional. Much of the furniture, linens, bath amenities, etc. have been carefully chosen to fit with the natural environment. Things are more "sleek" than "puffy" and modern materials are inplay against stone backdrops. The "lxury" side of RP is reflected more in the unexpected services you will discover in the remote location than in the classic amenities. 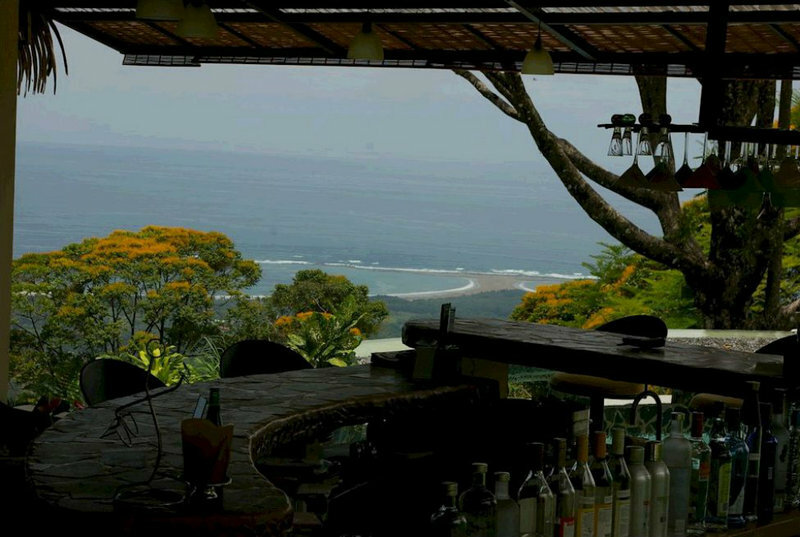 Rancho Pacifico is different than an urban 5 star - as well, we believe, they should be. Why should I travel so far out of the way? All of Costa Rica is not created equally. Many areas along the northern and central Pacific coast have become highly developed and for some, "touristy". As they have developed, they have lost extensive natural rainforest - depleting wildlife and eroding natural vistas. For example, in Manuel Antonio, Jaco and much of Guanacaste it is almost impossible to escape road noise, beach crowds and t-shirt shops. And from Dec to April, most of this area (covered by Tropical Dry Forest) becomes brown and loses its "lushness". If you are looking to experience the Costa Rica of your dreams - laid-back, private and always green - there is really only the South Pacific Coast and Costa Ballena ("Whale Coast") - where the beaches are wide and empty, primary rainforest awaits exploration and the local people are friendly. 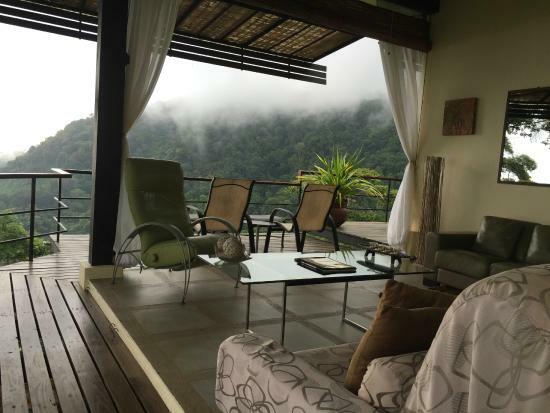 Overlooking the Osa Peninsula, Rancho Pacifico occupies a mountainside in this beautiful and still wild area. The rainforest is in bloom all year, there are no distant road noises and your desire "to get away from it all" is immediately fulfilled. But please keep in mind, "away from it all" is just that - RP is best described as "remote but reasonably near conveniences". Rancho Pacifico contains an award winning private dining room (open only to guests) - The Whale's Tail Grill, who's specialty is local, organic ingredients and fresh seafood artfullybrought together as "World-Tropical" cuisine. Their offerings are slanted toward "light but hearty" with a comfort element within the overall category of "Casual Fine Dining". The small menu changes daily - and each night offers at least 2 main entrees including Vegetarian and gluten-free.. They have been delighting those with dietary needs since their opening, with few modifications from our normal options. RP has also been successfully accommodating gluten-free requests for years. We all do best when those that fit within these two categories discuss their personal preferences directly with Chef Alex upon arrival. He is knowledgeable, creative and dedicated to please. We have found that those with severe and extensive food allergies combined with Vegan may not be able to be accommodated properly. Is this a "Destination Spa Resort"? A 2015 Trip Advisor Travellers Choice Award cites RP as the #1 "Spa/Relaxation Hotel" in Central America and Costa Rica" - and #12 in the World. While they are very proud of this (and remember - the voting is from Guests) they do not bill themselves as a Destination Spa or Yoga Retreat or Diet Spa. 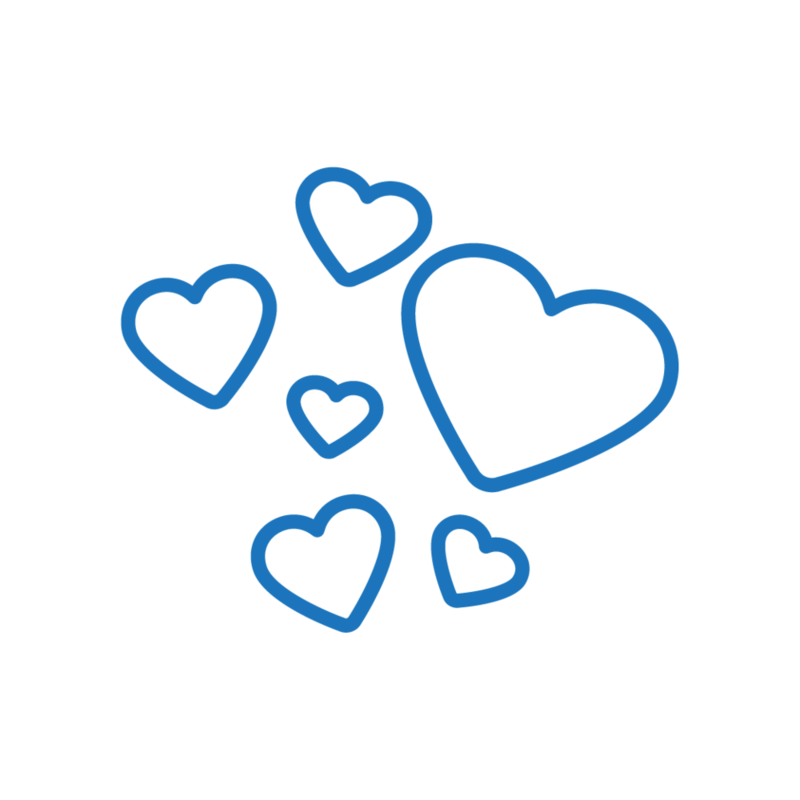 In a nutshell RP has a great array of natural treatments and a fantastic staff of male and female therapists. The treatment center is indoor-outdoor and provides a setting and backdrop that is simply unmatchable for relaxation and sheer beauty....it is NOT your neighborhood Day-Spa! They do not have an extensive array of spa amenities (RP has a small ocean-view yoga/fitness studio, self-guided exercise and yoga programs, a couple of intimate outdoor jacuzzis and amazing hiking trails). And they do have a retreat-like setting with outdoor sitting and quiet areas throughout our large property. The food is healthy and hearty - largely organic - and casual fine dining. If relaxation is at least part of your agenda, the opportunity is there....but they are not a "Destination Spa" - they are an awarded Small Eco-Luxury Hotel in a quiet setting with an excellent, but simple spa program and healthy outdoor lifestyle. Can Rancho Pacifico accommodate special handicap needs? Because of the remote and spread out location, RP is NOT reccomended for persons with mobility conditions - including wheelchairs or walkers. Is transportation included in the package price? No. Due to the variety of options, transportation is not included in this package. PRICES ARE SUBJECT TO CHANGE WITHOUT NOTICE SOME SERVICES ARE PROVIDED BY RP AND OTHERS BY INDEPENDENT TAXIS. How do I pay independent taxis? TAXIS AND VANS REQUIRE GUEST TO PAY DIRECTLY WITH CASH. When do I pay for the resort provided transportation? Can I use my resort credit (included in my package) to pay for the resort transportation? Yes! 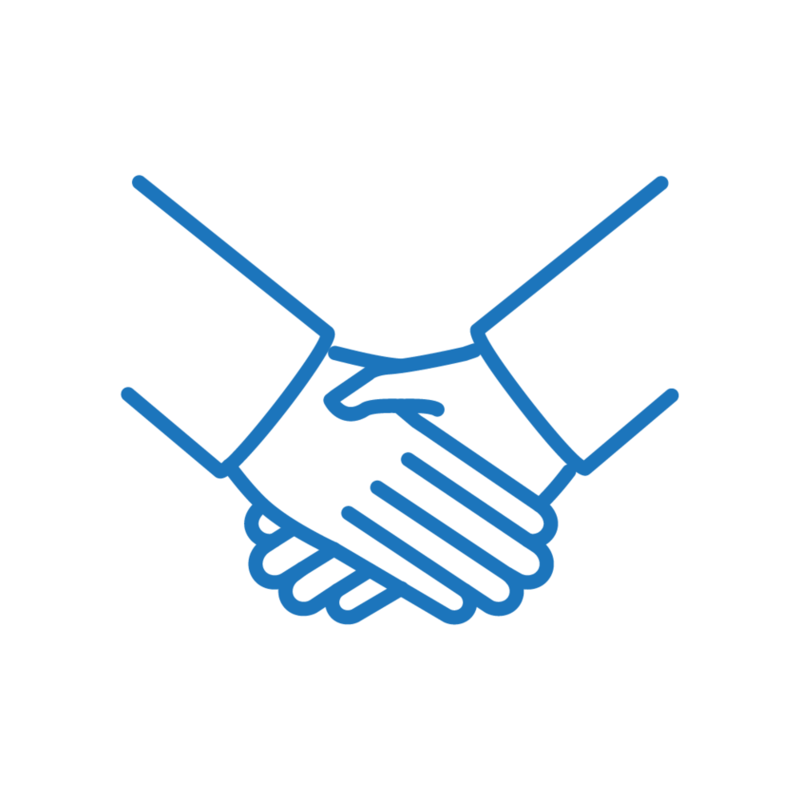 Your Resort Credit is applicable to local transportation costs including trips to and from the resort to Regional and International Airports. 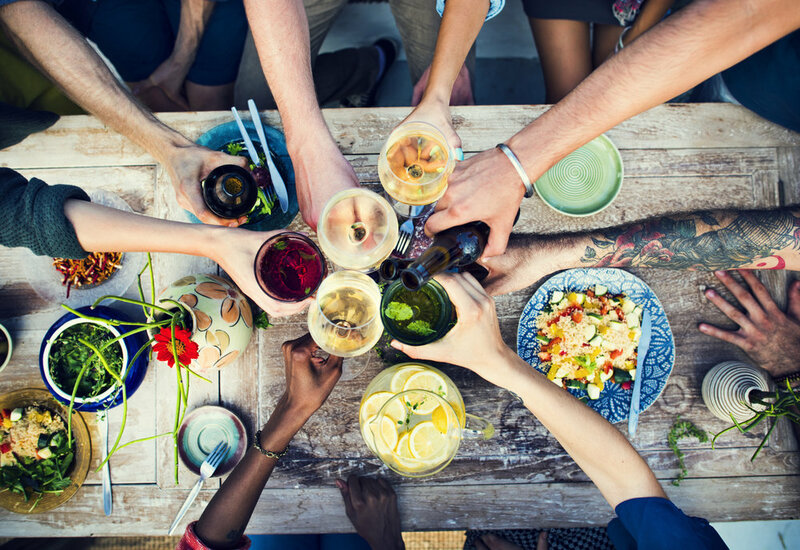 (not applicable to airline costs) All prices are per party - one way (Party is described by each accommodation - for example 3 people in one villa is one party) Prices subject to change without notice. Private taxi costs may be slightly higher. Thanks to the opening of a new road south of Quepos / ManuelAntonio (XQP), Regional flying is easier than ever; there are 6-8 (20 minute)flights per day. How long is the ride from the airport? If you are flying into Quepos (XQP), the drive from the airport to the resort is about 1 hour. If you are flying into San Jose (SJO), the drive from the airport to the resort is between 3.5 - 4 hours.